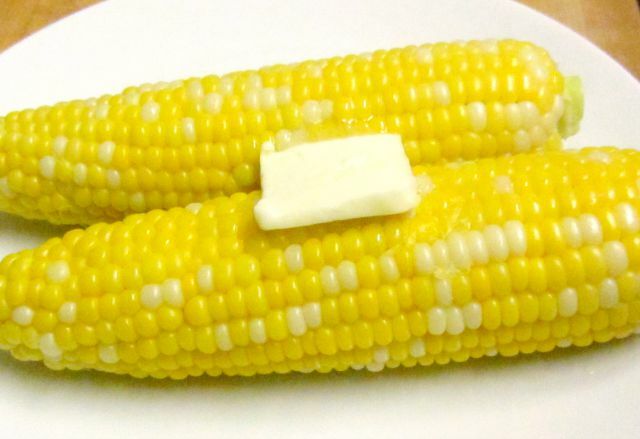 I grew up eating fresh corn only when we went to my grandmother’s in the country. That was dairy country – Central New York – and all the farmers grew huge fields of field corn, as well as hay, as winter fodder for their cows. And around the cornfields, they would plant a row or two of sweet corn, for their own use, and for sale. 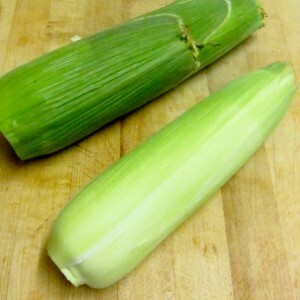 The stalks weren’t as tall, they ripened a little earlier, and every August, you’d see stands selling them. We could buy it from the grocery store in the little village, we could buy it from the farm stand where we bought most of our vegetables – but you’d also see, at the edge of the road along a field, an overturned crate with a bushel of corn and a handwritten sign – “Sweet corn – $1/dozen.” (Yes, this was when I was a girl – it’s much higher, now.) You left your dollar in the mason jar next to the bushel basket, picked out your dozen, rushed them home and into the fridge, and ate them that night. Granny had a big old pot – I think she may have used it for canning when she was younger. We would fill it with water, put it on to boil, and my brother and I would shuck the dozen ears, right before cooking them. 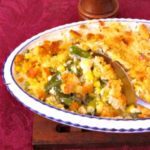 There were five of us, so we’d cook five ears at a time, for about five minutes at a time, putting the second batch in when we pulled out the first, and usually he and I got the extra two… We never ate corn unless we knew it had been picked that day – and usually went to the farm stand, where we knew it hadn’t been sitting in the sun. Even a few hours made a difference in sweetness, as the natural sugar in the corn turned to starch. Enter the new supersweet corn varieties. They don’t turn to starch as quickly as the old cultivars, but still have good flavor. I still don’t buy them in a supermarket, but if I can’t eat them the very day I get them from the farm market or CSA, they’re still good – and that day, they’re sweeter than the ears that sat out in the sun in those bushel baskets, when I was a girl. I have bought corn at Greenmarket, or eaten it from the CSA. I shucked it right before cooking, as I’d been taught (Don’t ever remove the husks when you buy them – they help keep it fresh!) and boiled it in my soup pot – two ears at a time, for just two of us, now. I take each individual ear of corn. 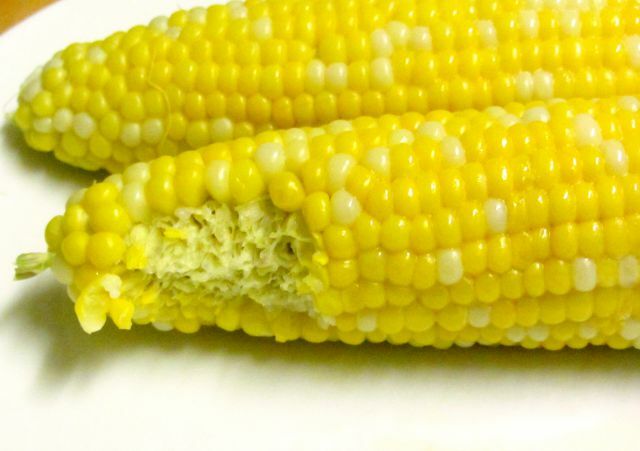 If I bought it from Greenmarket, I will have pulled the end open a little, to make sure the ear has filled out – and that there are no bugs (left over caution from those bushels on the side of the road – I don’t think I’ve ever found bugs in corn at Greenmarket.) For this method, though, I need to make sure I don’t open it very far, and straighten it up, and close the end, as it has to hold the steam. Then I use a heavy knife to trim the ends – cut off most of the stalk (but leave a bit for a handle) and much of the silk at the end. And I remove the outer husk, which is usually a bit dried out. 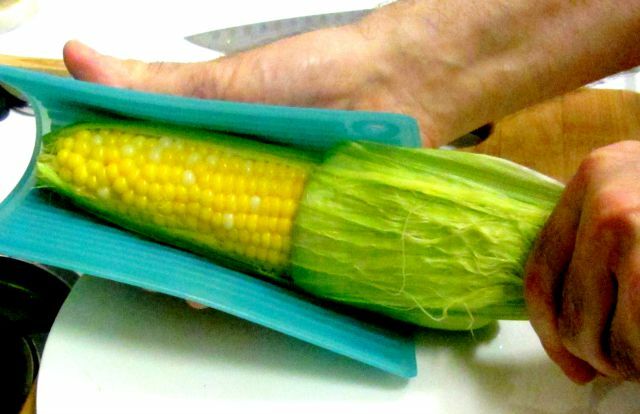 Again, though, I make sure the husk encloses the corn. Now, the problem with microwave recipes is that the timing varies a great deal. Some microwaves have more power than others, cooking three ears will be totally different from cooking two, and so on. So, all I can tell you is what I do. I find that, in our current microwave, cooking two ears for five minutes seems about right. The first ears of the season – still milky,and so tender – I cooked about four and a half minutes. Corn I get late in the season (or an ear that has sat for a few days, if I have schedule problems) gets five and a half or even six, if I think it is getting starchy. Then Rich takes over… That blue thing in the picture is a silicone pot holder, which is the best choice for holding anything steamy, as it does not itself get soggy and scalding. He holds the ear with it in one hand and, very carefully, pulls the husk back with the other, carefully avoiding the steam rushing out. The steam is really the only hard part, though, as the husk peels off much more easily than it does on a raw ear – it has been softened in the cooking. The silk also just mostly peels right off with the husk, and any left just comes off with a brief rub with a clean dishtowel. 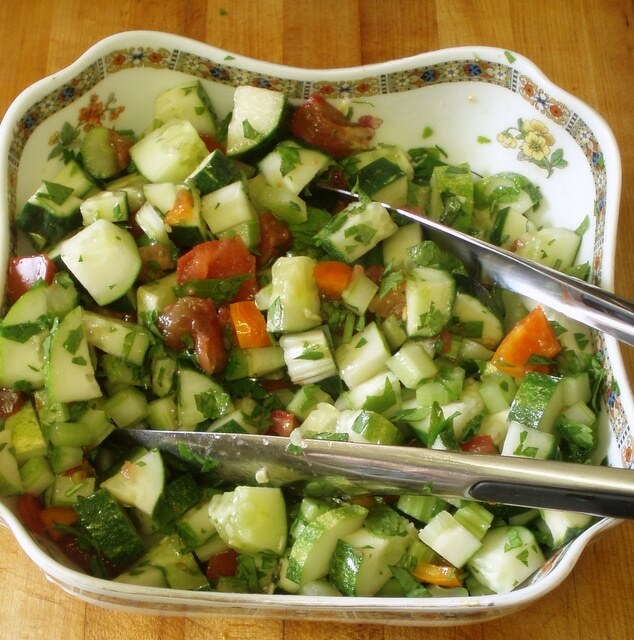 Butter, salt or a seasoned salt, freshly ground pepper… and I know that it is midsummer, and that, even in the heat of the city, that is a wonderful thing. Further edited 7/15 – with new pictures. 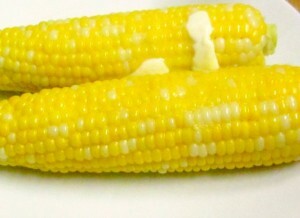 Cook corn on the cob in the microwave - it's fast and easy, and tastes so fresh! Take the ears of corn, still in the husk. Trim the ends, making sure the husk still completely enclosed the corn. Microwave. 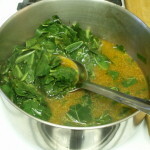 Time will vary by the number of ears you cook, and your microwave - as a rule of thumb, start with 4 minutes for two ears. When they are done, very carefully peel back the husks, being careful not to scald yourself in the steam. It's so much easier! I just want everyone to know about it! 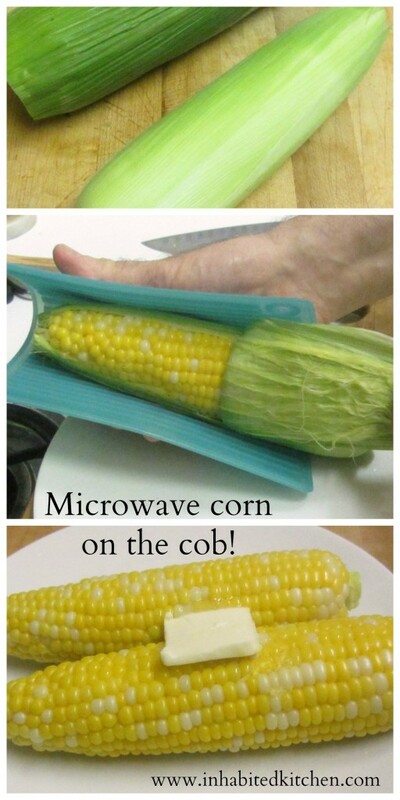 I had no idea it was possible to microwave corn...definitely a time saver. I didn't either, until she showed me! Love this! My mom has a similar technique. it definitely beats boiling them in water! I'd never heard of it until Rich's mother showed me - and I so don't miss a huge pot of boiling water streaming up my kitchen in August! I was so stunned to find that it could be quick and easy! This is so helpful!!! I use corn in a lot of my cooking and I always have to wait 30 minutes for it to cook in the oven... thank you!!! Oh, I love it for that! I cook it for about half the time - just 2-3 minutes - and then let it cool enough to handle more easily. The husks and silk peel right off, and I find it easier to cut off the kernels without them jumping all over the cutting board! Easiest way to remove the husk after microwaving (or at any other time after cooking) is with tongs. I don't peel it. 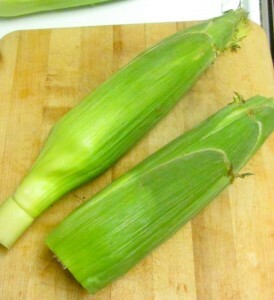 After microwaving the corn I cut the stalk end off. Enough that your into the first rows of corn. Then hold the silk end with a potholder and squeeze the cob out. I use a large knife between rows of corn to help pull the corn out. All the silk stays in the husk. I love microwaved corn. Delicious and not much cleanup.